On Friday, June 3, 2011, at 11:00 a.m. PLEA was in attendance at the sentencing hearing for the defendant whose reckless conduct in starting a fire in an alley trash bin on March 14, 2001, led to the tragic and needless death of Phoenix Firefighter Brett Tarver. 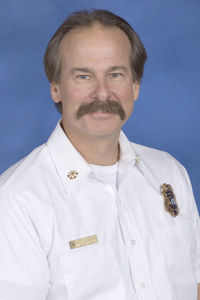 PLEA believes it’s important to acknowledge and recognize Phoenix Fire Assistant Chief Kevin Kalkbrenner who participated in the hearing as the “lead-off” presenter in providing impact statements to the presiding judge. Chief Kalkbrenner, on behalf of a courtroom full of Phoenix Firefighters, took the time to address the bench in seeking the maximum penalty to be imposed on the defendant. In light of the non-existent voice from upper level police managers in police related sentencing hearings, this servant-leadership support for front-line personnel in a courtroom was refreshing and well-received.